This need to be at the top Jay. Melts an old man's heart. 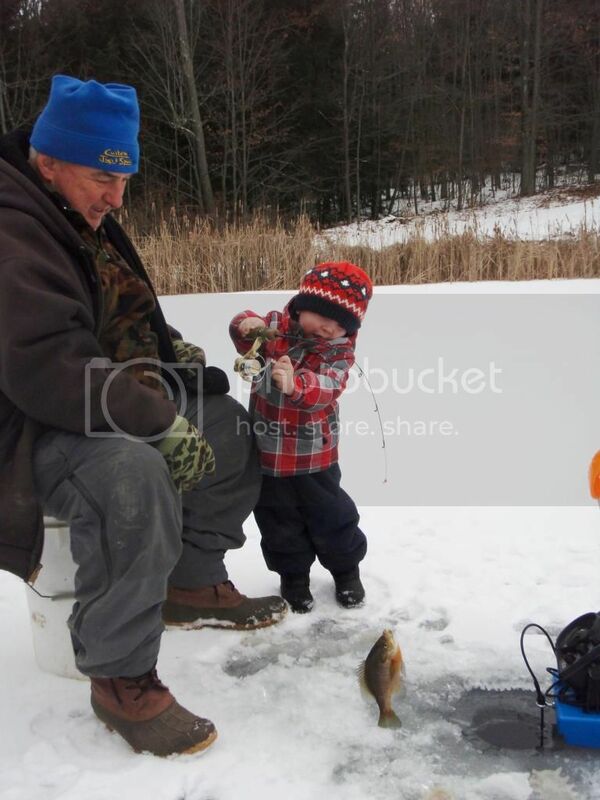 Please post your NY "Kids Fishing" pics here. Good thread and nice photos Dark Cloud. 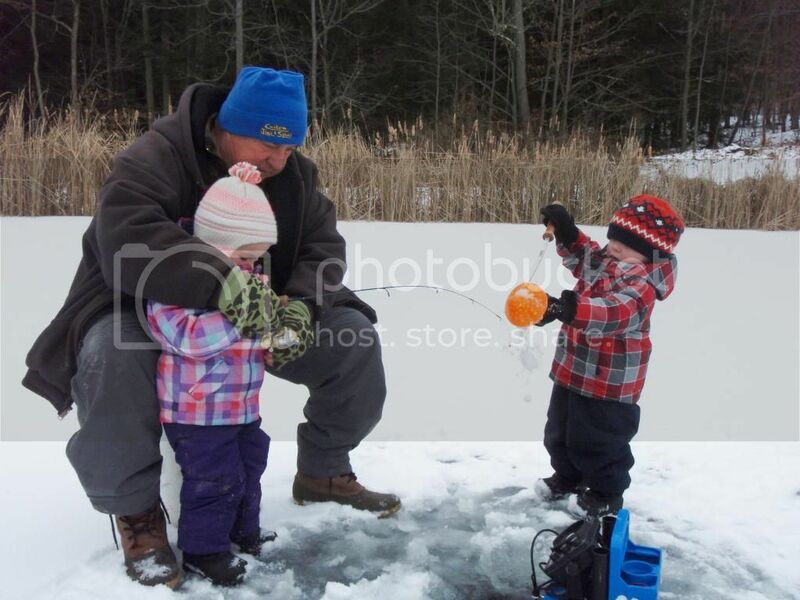 Nice to see families enjoying themselves out on the ice. First time ever out for my lil Hunter.... 3 and 1/2 years old and ready to go. Give a man a fish he'll eat for a day, teach a man to fish he can eat for a lifetime.... take your kid fishing and never stop smiling. "CLOSED TODAY" Gone Ice Fishing! Hey orngcrush17, man does that bring back great memories, congrats to the little guy........Sweet! 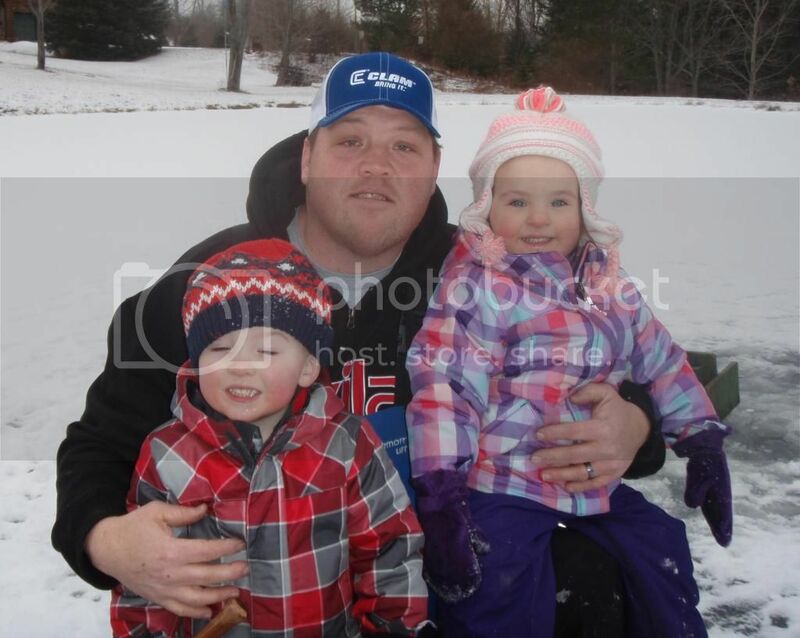 Great pics and stuff here, keep them coming in. 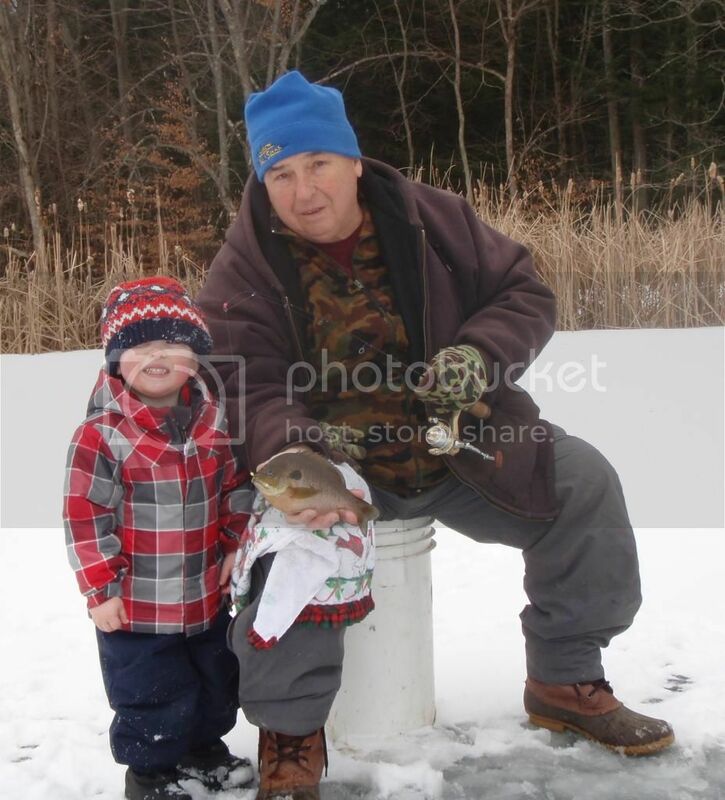 Took my girlfriend's 7 year old son out ice fishing for the first time yesterday . His job was clearing the holes after I drilled them . 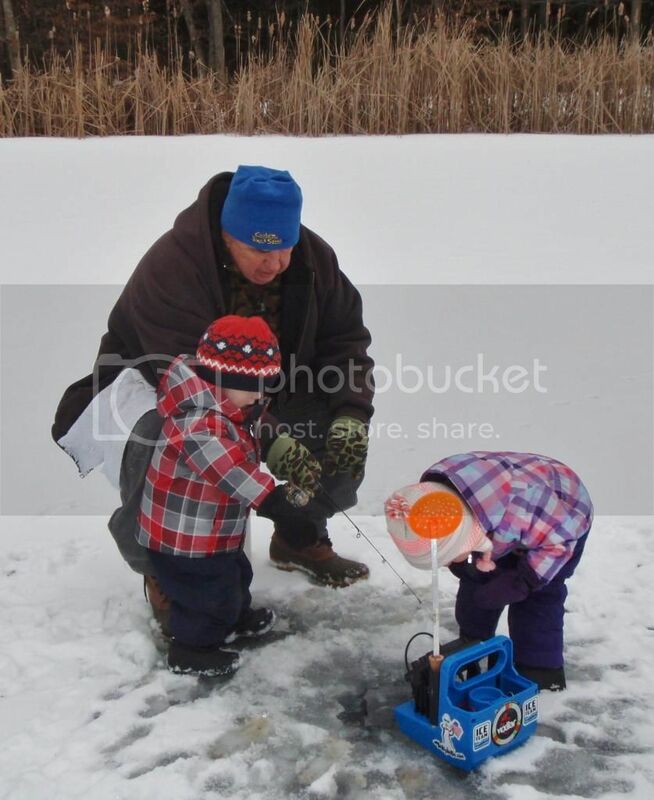 He was having great time until he found out the hard way that his boot will fit down an 8 inch ice hole ! 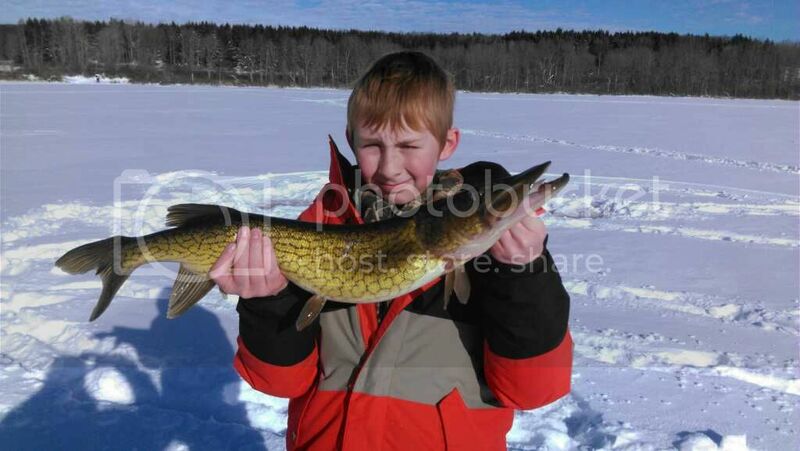 "Get you some of that"
Here's my 13 yea old "gangster" perch fishing! "life aint no rehearsal boy,you only get one chance, you will learn it by the seat of your pants"
Great thread DC and nice pics guys. I plan on getting my little guy out there for a short trip when it gets a bit warmer. My Youngest a couple years ago....Still loves to chase tip-ups!!! haha she wanted to take notes. This is how to get out on the ice! He's having a ball. Good Dad! Congrats, Good job Dad! Brings back lots of memories. A little outing with my boys today, didn't catch a ton of fish but had a great time none the less! Very cool new section, love all the kids! Some nice fish as well. I have 4 boys yrs 12,10,8,and 6, in which I take out in a rotation for some fun. This is my 8 yr old who always loves to tag along and just got his own new pole and tackle box full of gear this year for Christmas. This was his 1st fish he caught, just went to a little pond this week end to which we caught over 50 in total and kept 26 including a nice Crappie. You, my friend , have your hands full I know what my parents went through with my 2 brothers and I. This is one of the best topics we've ever had around here. These are obviously not fishing pics but they do include an otter sled! The little guy tried out his snow shoes today. This on our way out to check the trail cameras. This is on the way back. Who is teaching who?